Remember this song? FOOLED AROUND AND FELL IN LOVE by Elvin Bishop? When I first heard it on the radio being sang by Rod Stewart, oh about 8 years ago or so, I remembered thinking "I know this song. It sounds familiar." Then I looked it up and sure enough, it was another classic rock song I grew up to in the 70s. Rod Stewart's version wasn't bad I have to admit, but the original version by Elvin Bishop holds its own special memories for me. 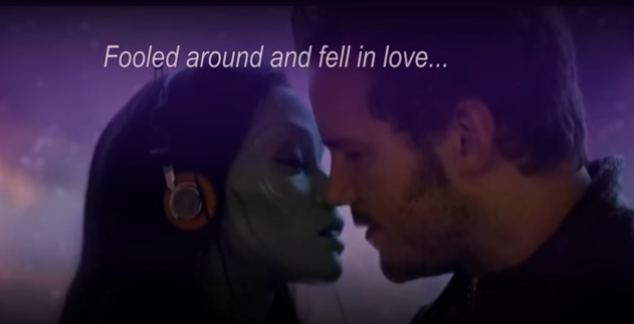 Nevertheless, I was delighted to learn it was also one of many 1970s song featured in the highest-grossing superhero film of 2014, Guardians of the Galaxy - a movie I have yet to watch! The single, "Fooled Around and Fell in Love" by blues guitarist Elvin Bishop was released in 1976 and was later covered in 1991 by various artists including Rock music artist Henry Lee Summer which appeared on his album "Way Past Midnight" and on the 1991 comedy film Queens Logic soundtrack (with the lead guitar solo played by Joe Walsh). The song is also featured in the films Illtown (1996), Boogie Nights (1997), The Family Stone (2005), Invincible (2006), Harold & Kumar Escape from Guantanamo Bay (2008), Lovelace (2013) and the blockbuster Guardians of the Galaxy (2014). Contrary to popular belief, Bishop did not sing lead vocals on the track; feeling that his gravelly voice wouldn't do the song justice he invited vocalist Mickey Thomas, who was a background singer in his band at the time, to sing it. The world population was around 4,146,135,850.
and the Yuba City bus disaster in Martinez, California, the second worst bus disaster in U.S. history to date, killed 28 students and one teacher. The Rocky Horror Picture Show is officially re-released as a midnight movie at the Waverly Theater (Now the IFC Center) in Greenwich Village in New York City, starting through the run and still being shown in there as of 2013 all around the world.